Inside Scoop: Manage stress naturally by incorporating these 10 essential oils for relaxation and sleep. 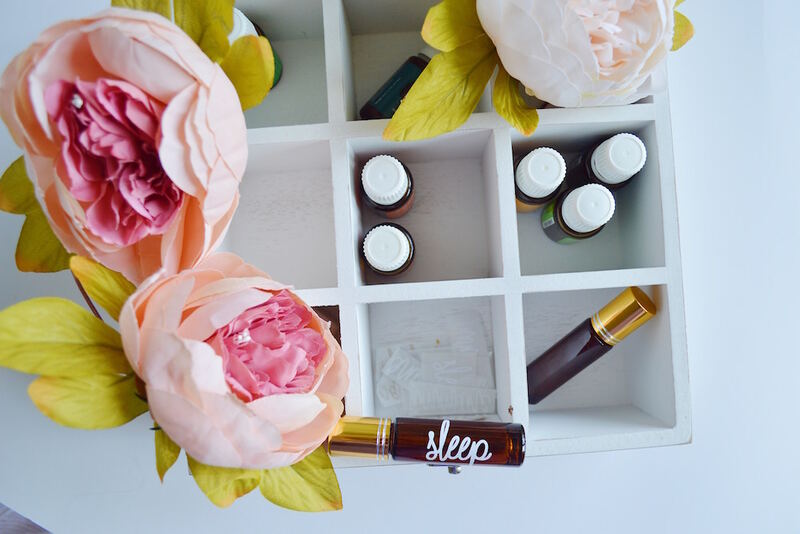 This post was submitted by Jenna Gallagher, a Registered Holistic Nutritionist and Essential Oil Educator by day, and a sleep-deprived DIY Queen by night. .
Who needs some extra help in the stress department? Stress can be the root cause of so many health issues. Although it has been shown in studies that short-term stress can actually boost our immune system, when it comes to chronic stress we are talking about a whole new level of health issues. Not everyone deals with stress the same way. For some, it can manifest as an illness whereas for others it can have little to no lasting effects on the body. The key difference may lie on the stress management techniques used and our overall perception of stress. This may help determine if your stress will have a long-lasting negative effect on your body or not. What are some effects that stress can have on the body? Weakened immune system: It has been shown that chronic stress can cause havoc on our immune system, which can manifest as an illness. Affects the respiratory system: Stress can cause the release of histamine in the body resulting in bronchoconstriction that can be problematic for anyone with asthma. Risk of diabetes: Stress can alter your insulin needs, as your body produces more glucose to give you energy to survive this can increase the risk of developing type 2 diabetes. Stomach ulcers: Stress makes you more likely to develop ulcers as it can alter your stomach acid concentration. That’s why one of the main recommendations for anyone with an existing ulcer is to manage stress. Implicated in heart disease: When you’re under stress your heart beats rapidly, your blood vessels constrict and your blood pressure increases – all known risk factors for heart disease. So, now that we know some of the negative effects that stress can have on our bodies, let’s look at how we can support and balance our stress response and use essential oils for relaxation and sleep. You can also explore some additional ways to naturally manage stress here. How do essential oils work for relaxation and sleep? Essential oils are one of the first things that I was introduced to when it came to managing my stress, and it was life-changing. 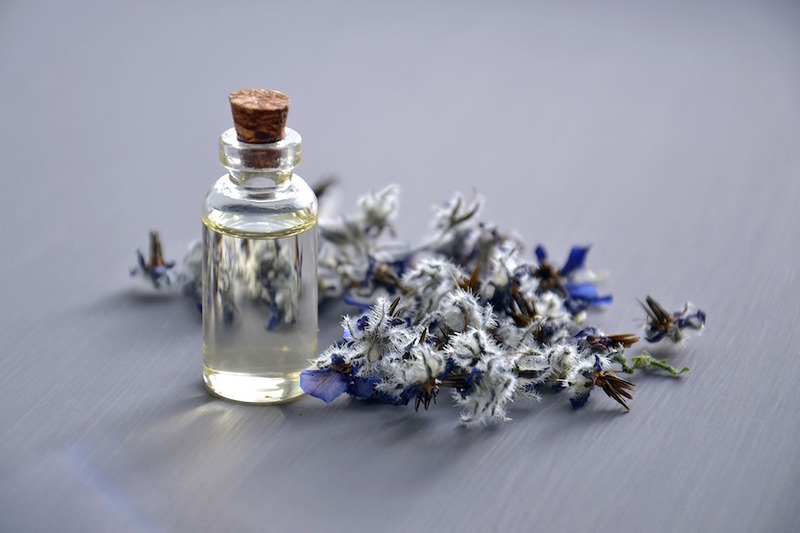 For many years, essential oils have been used in aromatherapy and naturopathy to help support the body in many ways. Although the research on their use is still controversial, many people (including myself) have found relief through the use of essential oils that can also help support other body systems. And who doesn’t like the soothing scent of a natural herb or flower? When it comes to managing our moods, the aroma of the essential oils is key. When we smell anything, it will travel up into the limbic system of our brain. This is where we process many of our emotions, moods, memories, heart rate, and blood pressure. Now, let’s get to the exciting part and talk about what essential oils can really help you become more relaxed and experience better sleep. Clary Sage is used in aromatherapy to relieve stress and anxiety and improve mental function. It may also have anti-inflammatory effects and help relieve joint and muscle pain. Grapefruit while the smell of grapefruit is more uplifting, this has a calming and soothing effect on the body. Grapefruit oil is also used as a natural disinfectant. Helichrysum is used as a nervine and calmative. It may also help relief colds and cough as well as minor skin irritations. Juniper Berry is used as an antimicrobial and antifungal. The diffused oil that is very fresh and sweet helps relieve worry and stress. Lavender is the most well-known plants for aiding sleep and probably one of the most studied essential oils for its effects on the nervous system. It enhances mood and may help with mild anxiety and migraine headaches. For a double calming effect, you can also sip on some chamomile and lavender tea, a great stress-busting combo. Patchouli this musky scent may have a balancing effect on mood and emotions. It’s also to help with sleep and insomnia. Peppermint is a type of mint plant that’s best known as a natural digestive aid. Diffusing the essential peppermint oil improves mood and mental focus, which in turn helps with relieving anxiety. It may also help relieve joints and muscles. Sandalwood (East Indian) is used for mental clarity, calm and relaxation. It’s also used in aromatherapy to help relieve headaches, cold and cough. Wild Orange helps freshen the air and is very uplifting and energizing to the mind and body. When your mind is at ease throughout the day, you worry less and sleep better. Roman Chamomile helps to reduce anxiety and aids sleep. It’s also used to help relieve mucus, congestion, and irritation caused by hay fever. If you suffer from allergies, the antihistamine diet may also help. Essential oils can be used topically and aromatically. When it comes to our emotions, I highly recommend using the essential oils aromatically as we have established how the smell of these essential oils can affect the brain. While you can smell oils right out of the bottle, this isn’t ideal. Instead, put a drop in your hand, cup your nose and mouth and deeply inhale. This will allow you to get topical exposure as well as aromatic one giving you a sense of calm and relaxation. It’s best to diffuse essential oils in an ultrasonic diffuser. Do not put essential oils in a humidifier as this will destroy the motor. Also, do not put the oils in a warmer, or steamer. This will break down all the therapeutic properties. You can also wear diffusing jewelry such as bracelets. This will help you smell the aroma of the essential oils throughout the day, and you can add more when needed. IMPORTANT: While some people may recommend ingesting essential oils, this practice has not been proven to be safe and may have dangerous side effects. Buy pure oils, not ones diluted or mixed with other ingredients or fragrances. Just as you would choose your cooking oils, you want essential oils that have been extracted using gentle methods and not chemical extractions. If it’s a very cheap product, it may be a fake. Remember it takes a big amount of plants and herbs to produce something so concentrated. How amazing is it that you can relieve stress with a small little bottle that leaves a heavenly smell around your home? Remember that our bodies are all biochemically different and what works for you may not work for the next person. Find what works best for you. Hi, there! I am Jenna, a Registered Holistic Nutritionist and Essential Oil Educator by day, and a sleep-deprived DIY Queen by night. Superhero mother of 4 boys (2 of which are my dog and husband). I love a good board game, some essential oils and a nice glass of wine. Mental Health issues and awareness are on the rise and something that I take very seriously. Having Struggled with my own Mental Health, I was at the end of my rope I felt hopeless and needed something to change. I was introduced to Holistic Nutrition and Certified Pure Therapeutic Grade Essential Oils and my life was changed forever. This is where my story truly begins. 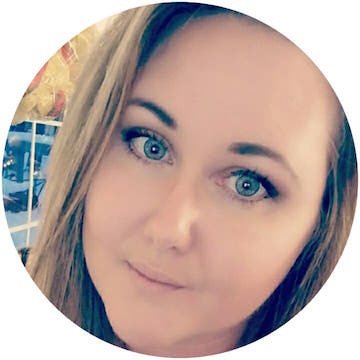 Now-Wellness is dedicated to helping educate, encourage and empower women and children who are struggling with mental health, to put their health back into their own hands. Creating healthy families through holistic nutrition, essential oils, and life balance for a total body, mind, and spirit connection. You can change your future, and your future starts now. I teach one-on-one and group essential oil classes. If you are interested in joining my amazing team and make your dream a reality and running your own business, contact me directly.